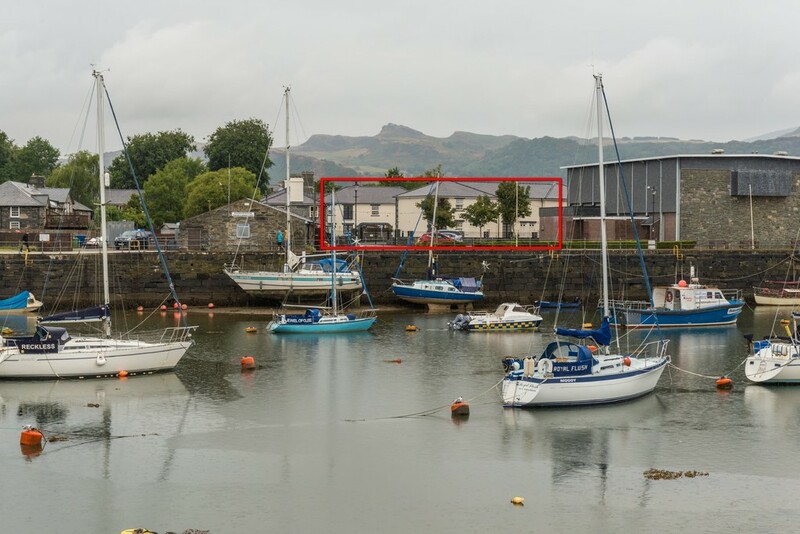 Situated just a stone's throw from the colourful harbour, Glaslyn estuary and town centre, this well-presented First Floor Apartment sits within The Oakleys complex of apartments built around 2006. 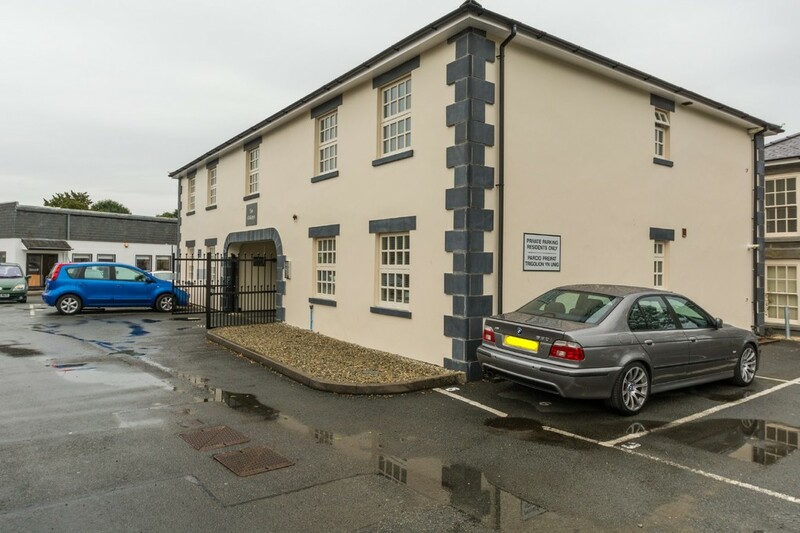 The apartment stands adjacent to one of the original (Listed) properties which served the slate industry during the 19th and early 20th century. 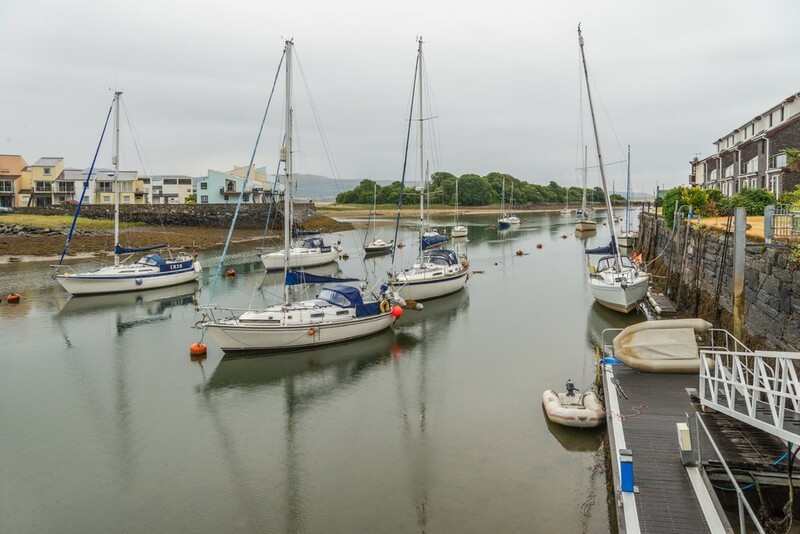 The property is perfectly positioned for the harbour side and marina and offers glimpses of the spectacular surroundings and the dramatic mountains of Snowdonia. 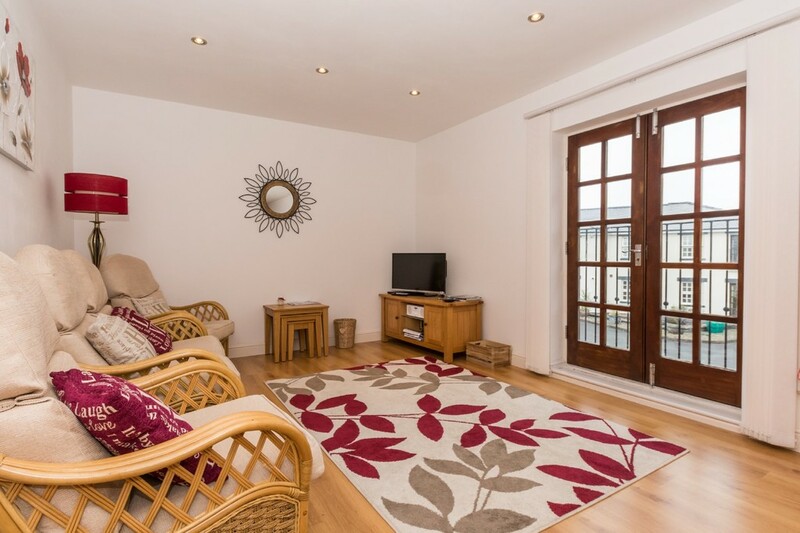 This 2 bedroomed apartment has been maintained to a high standard by the present owners, providing an open plan living space that's perfect for family getaways and/or boating enthusiasts - or even an investment as a holiday let to generate additional income. 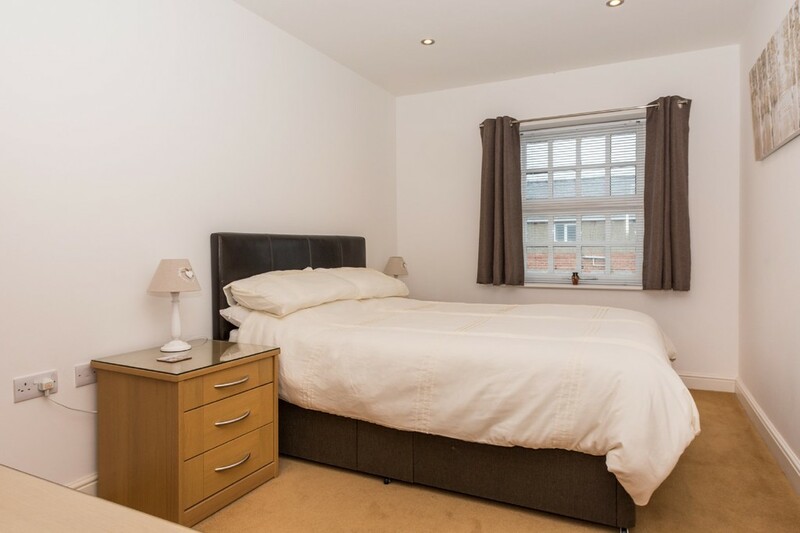 The position is highly convenient for all amenities within the town and there's the added benefit of secure gated parking with an allocated space for 1 vehicle. 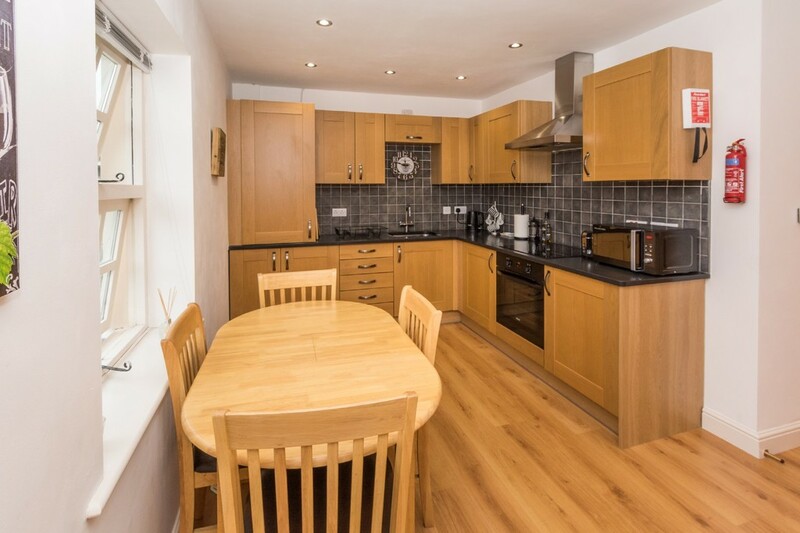 The kitchen comes fitted with solid slate work surfaces, a built-in oven and hob and there's a Juliet balcony and French doors to the main living space. 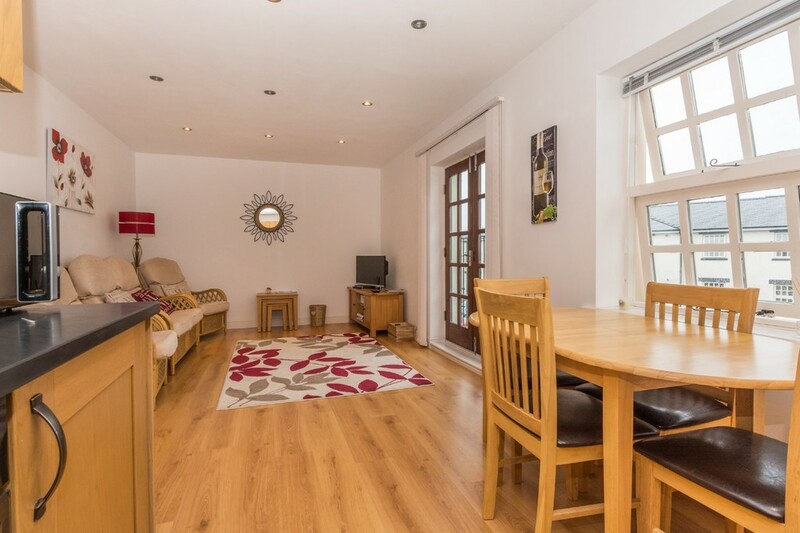 If required, the current fixtures, fittings and furniture can be purchased by negotiation. 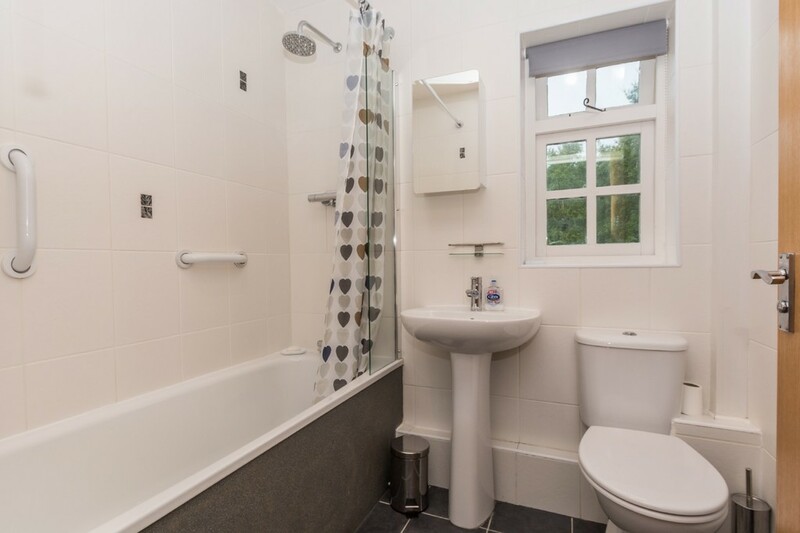 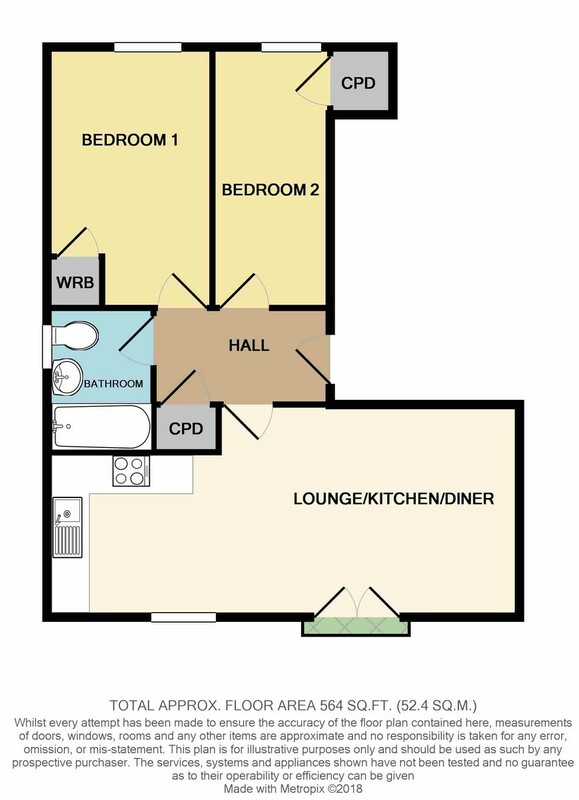 Benefiting from double glazing and gas fired under-floor heating throughout, the accommodation briefly comprises: Entrance Hall, open plan Lounge/Kitchen/Diner, 2 Bedrooms and Bathroom. 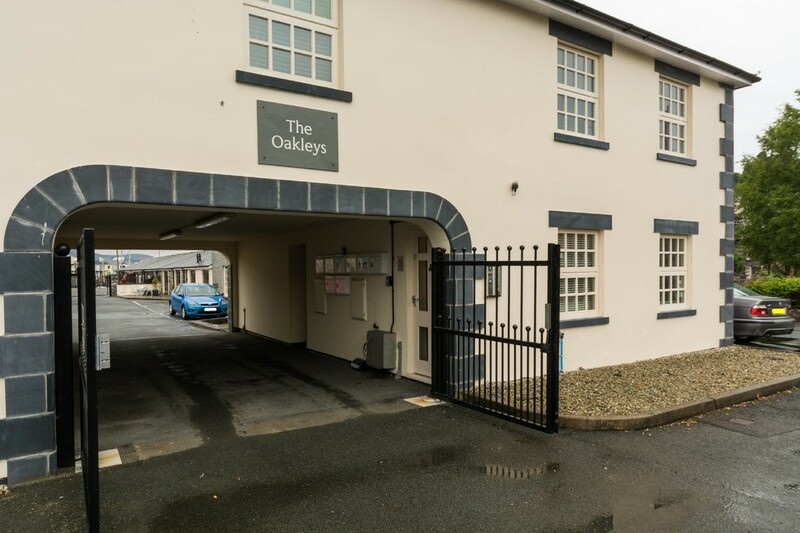 LOCATION The Oakleys is just yards from the harbour in the bustling town of Porthmadog located at the mouth of the beautiful Glaslyn Estuary at the southern edge of the Vale of Ffestiniog. 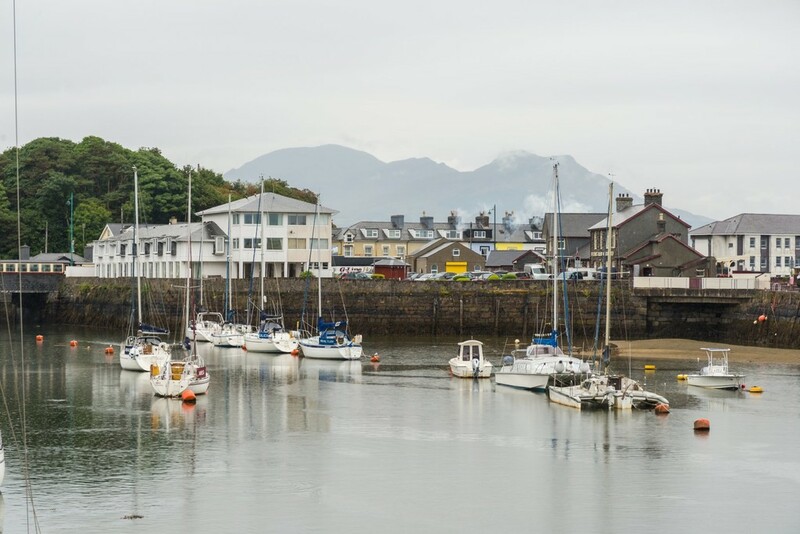 Porthmadog is a fascinating town strategically positioned to allow for the easy exploration of the mountains of the Snowdonia National Park as well as the coastline of the Llyn Peninsula and Cardigan Bay. 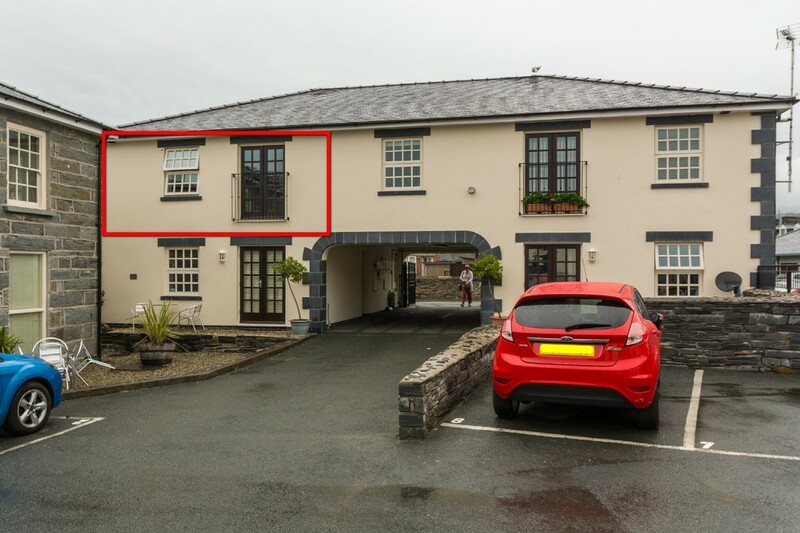 The landscape in this corner of Wales is dramatic to say the least. 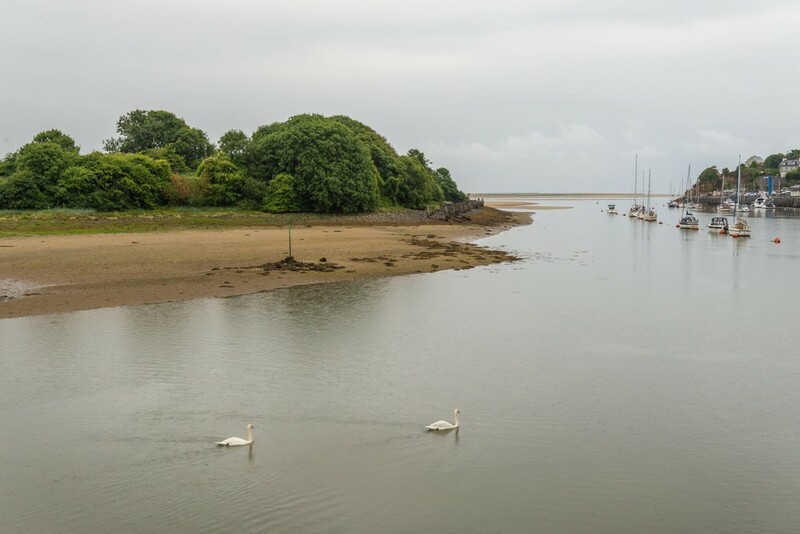 Much of the surrounding countryside displays evidence of the former slate industry where Porthmadog harbour played a major role in the shipping of Welsh slate to all corners of the world. 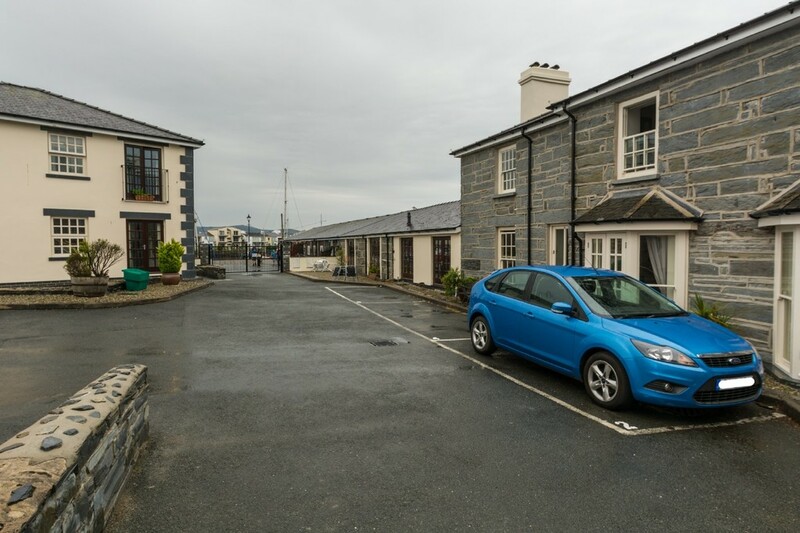 The thriving harbour offers facilities for fishing and leisure orientated craft. 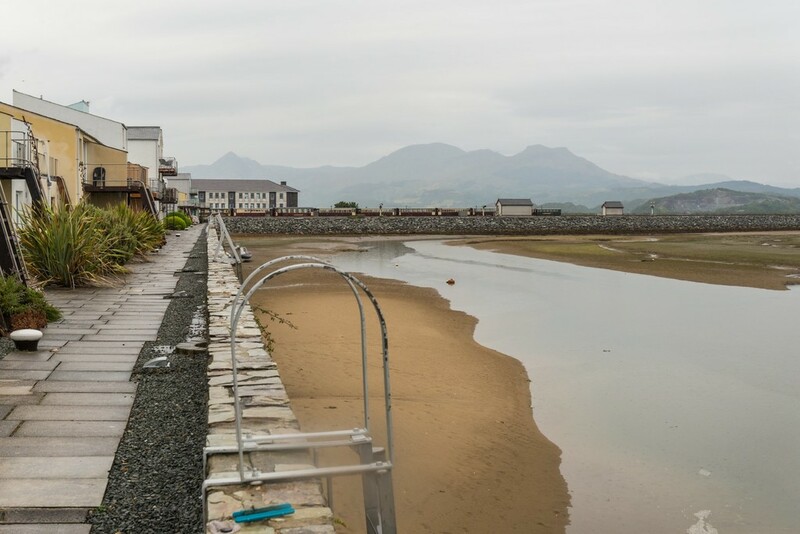 Porthmadog is famous for its embankment known as 'The Cob' which was constructed in 1811 allowing for reclamation of fertile farmland and allowing a vehicular crossing which is still in use today. 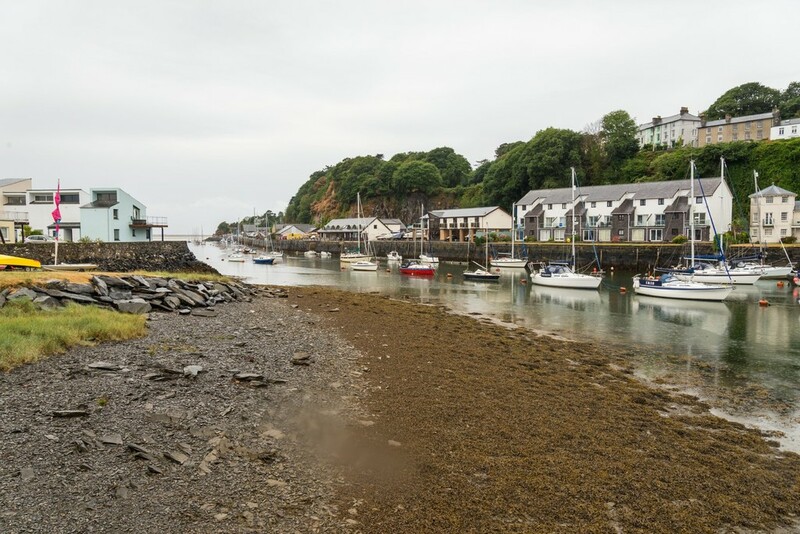 The town is also home to the Ffestiniog and Welsh Highland Railway with its station situated at the foot of the harbour - the sights and sounds of which can be enjoyed from The Oakleys. 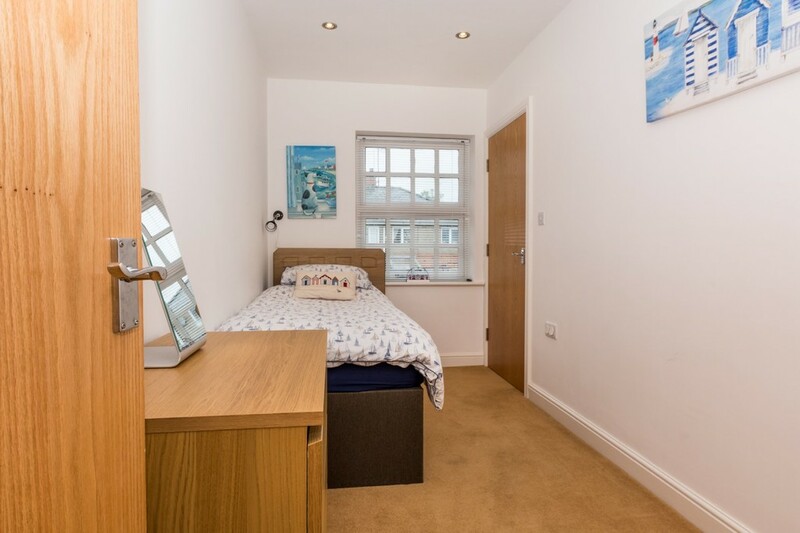 The town has an extensive range of amenities including primary and secondary schools, national and local retailers and a range of supermarkets. 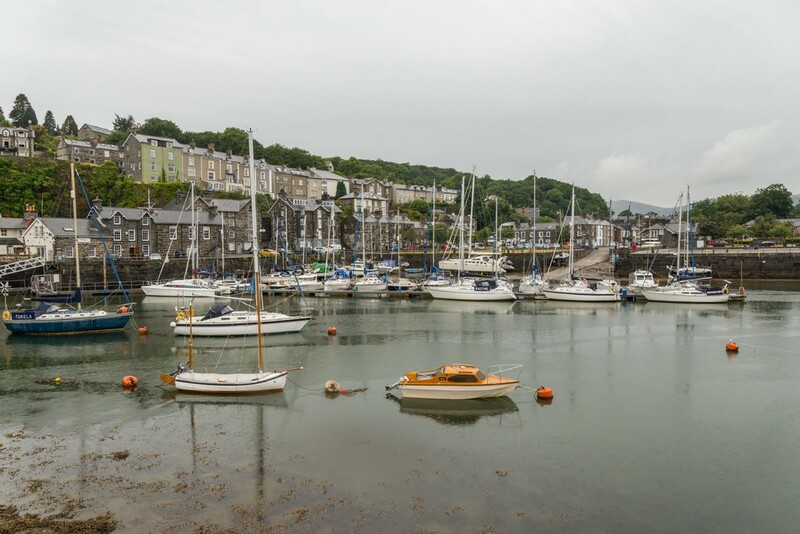 There are a good variety of bistros, restaurants and pubs to enjoy as well as a golf course and mainline rail links which serve the coastline for Aberystwyth and Shrewsbury. 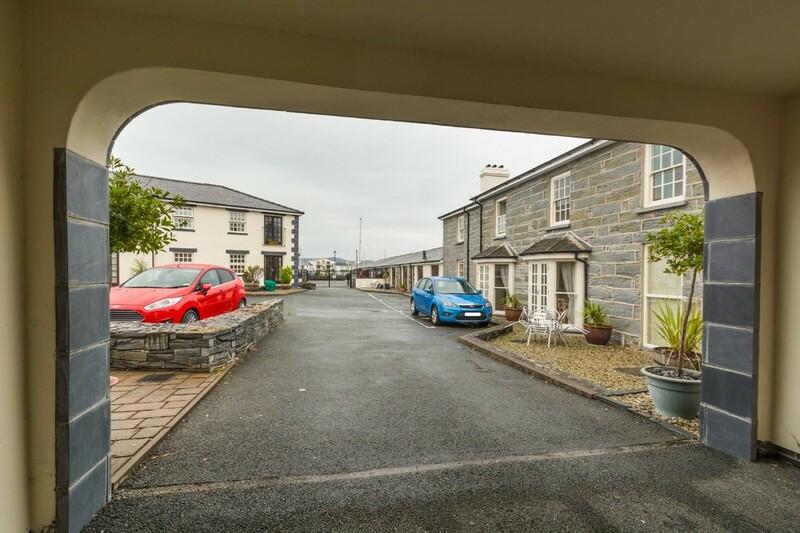 Access to all the nearby towns and villages such as Pwllheli and Caernarfon is easy with the excellent road network to hand. 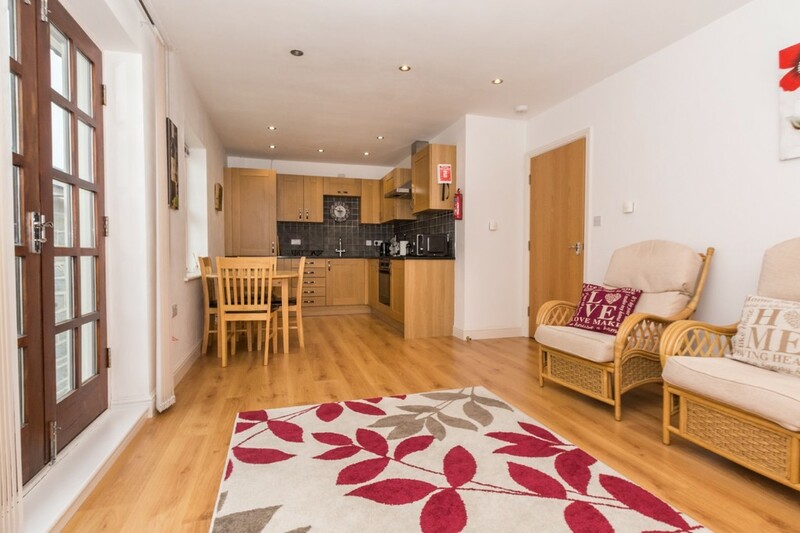 OUTSIDE Remote controlled electrically operated gates open through to a spacious courtyard which provides communal parking with 1 allocated parking space per apartment. 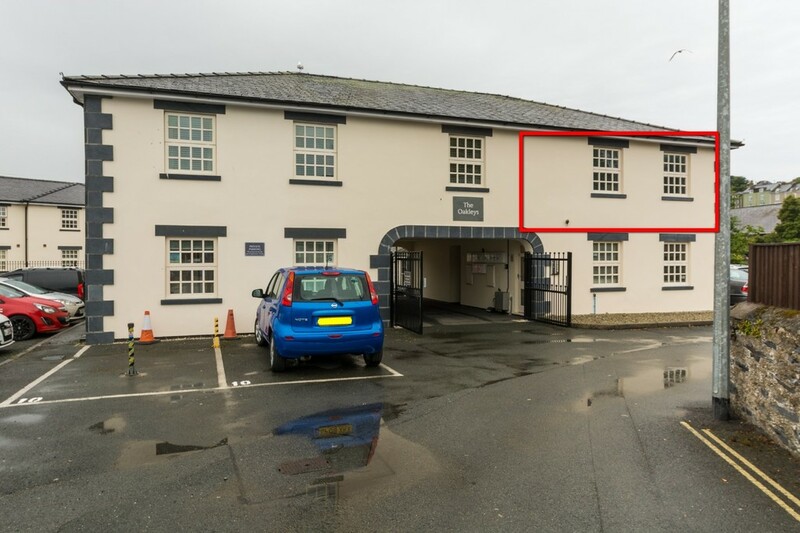 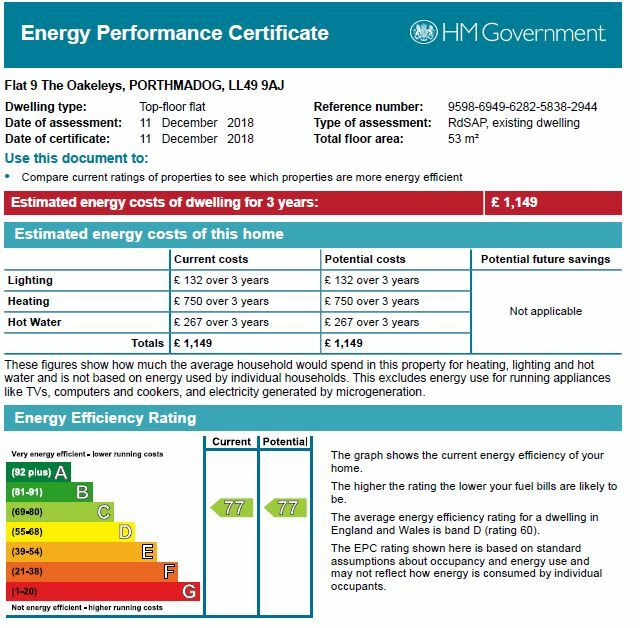 AGENTS NOTE: Whilst the apartment is a modern build, its does stand adjacent to a Grade II Listed building which may affect what can or cannot be done to the existing building.